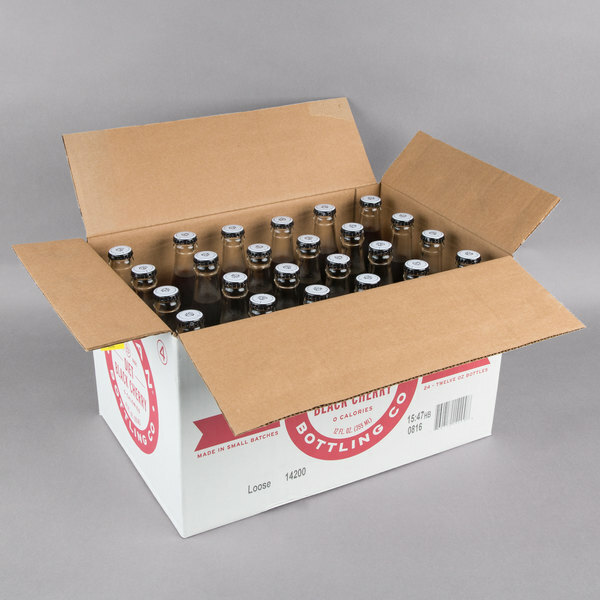 Delightfully cool and sugary sweet, your patrons will love this Boylan Bottling Co. 12 oz. diet black cherry soda with their meals. A carbonated, sweetened beverage, use this soda to serve customers at your restaurant or sell it at your concession stand. Additionally, this soda comes in a classic glass bottle for a sophisticated, old fashioned look at your venue. Use this diet soda as a zero calorie, caffeine free alternative to your regular sodas that still boasts the same sweet, rich flavors without the sugar. 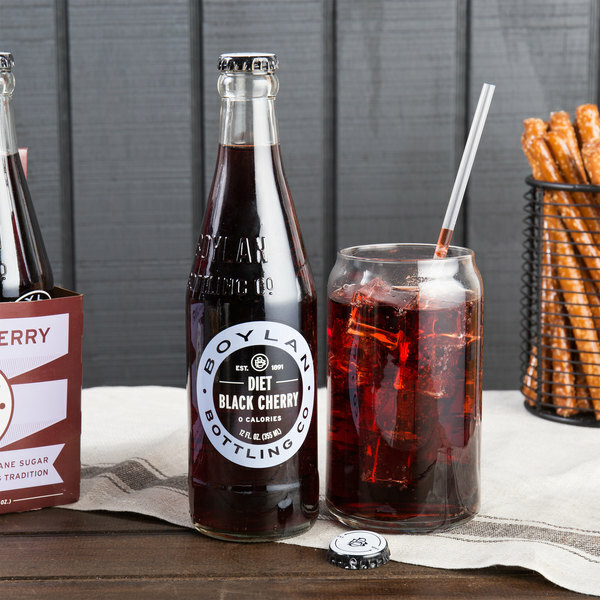 Black cherry will complete your selection of soda flavors with its rich taste. Similar to regular cola but with an added cherry flavor, black cherry satisfies your guests' cravings for something that's fruity and sweet. It provides an excellent pick-me-up any time throughout the day, and has an added underlying tart flavor to intrigue your guests! This soda is packaged with 24 individual bottles in every case. 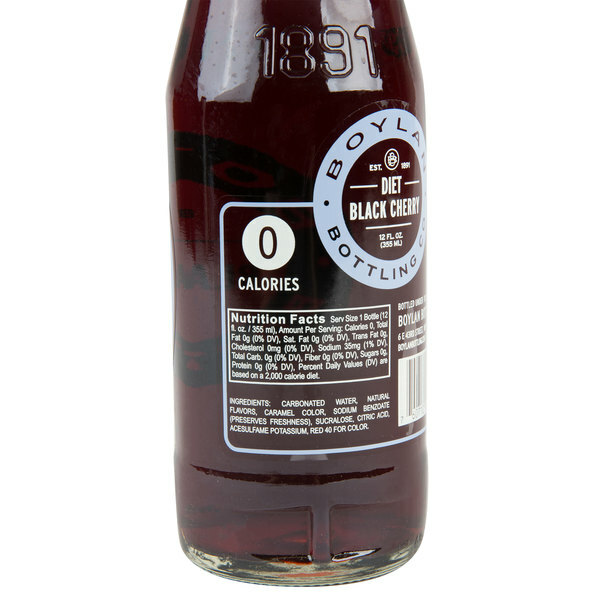 Boylan Bottling Co. began in an apothecary shop in Paterson, New Jersey when William Boylan created his first batch of birch beer. Since this simple beginning in 1891 the company has grown to incorporate a wide variety of flavors so that everyone can enjoy the delicious and refreshing flavors they have to offer. 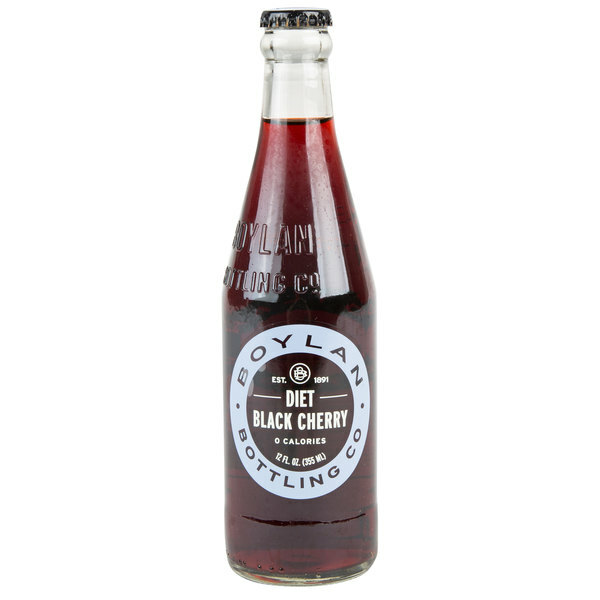 Always bottled in long-neck glass bottles, Boylan Bottling Co. sodas boast hand-crafted flavors as well as a classic presentation. Bring these sodas to your restaurant, catered party, concession stand, or large event to impress your guests with sweet, flavorful beverages. This item is certified Kosher by Shield Star K.
The bottles are just so cool looking! I really like their black cherry soda and now I can enjoy it without the sugar so that makes me happy. Love the great black cherry taste of this cola and its diet which is even better. The bottle has a great nostalgic look and love the great price. A great addition to our bagel shop.